All-inclusive resorts facing white, sandy beaches; the forts in Old San Juan; El Yunque Rainforest; the bioluminescent bay; home of tostones, arroz con gandules and the original piña colada; salsa music and the coquí frog all have the makings of the perfect vacation on the Caribbean island dubbed, “La Isla del Encanto” (The Enchanted Island). As we approach the first anniversary of the most devastating hurricane to hit Puerto Rico in recorded history, the last year has been anything but a vacation for those of us who live here. The actual number of Puerto Rican casualties of Hurricane Maria--according to an extensive study conducted by Harvard University. There is no part of Puerto Rico that didn’t suffer significant damage. 4,645 people died either from the hurricane itself or from circumstances directly attributable to it. In August, 11 months after Maria, Puerto Rico Governor Ricardo Rosselló sent a recovery plan to the United States Congress informing them the island would need $139 billion to fully recover. His hope is to build a stronger Puerto Rico, which Rosselló admits isn’t prepared for another hurricane. In February, Congress approved $15.8 billion for disaster relief, along with an additional $2 billion to repair the power grid—which was to be shared with the U.S. Virgin Islands (whose three islands, St. Thomas, St. John and St. Croix, were hammered by Hurricanes Irma and Maria). Although this may feel like reason to celebrate, it fell woefully short of the $90 billion initially requested by Governor Rosselló. This is business as usual living on a colony. The U.S. government continues to remind us we have been relegated to second-class status, suspended in the netherworld between statehood and independence. Governor Rosselló has already announced plans to privatize the electric company, which has a history of mismanagement and CEOs making outrageous salaries, and is currently $9 billion in debt. The island’s residents—though shrinking in numbers by the day—can’t take another months-long blackout: financially, physically or psychologically. Not as widely reported, the island's reservoirs need to be dredged. They’re neither efficient nor safe for drinking without home filtration. The condition of the roads ranges from having potholes to sinkholes and/or mudslides. And lastly, if politicians—both on the island and in the states—could stop playing politics for just a minute, maybe they could concentrate on rebuilding Puerto Rico and paying more than the $7.25-per-hour minimum wage, so people would stop fleeing to the states in record numbers. This is a macro look at the problems facing all of Puerto Rico. I’d like to introduce you to the lesser-known town of Utuado. It’s home to approximately 35,000 people, including my husband, Paul, and me. Many of the problems experienced on the island are magnified in Utuado—due to many factors, the majority of them related to colonialism. Utuado is in the mountains, in the interior of the island—north of Ponce and south of Arecibo. With 24 barrios (neighborhoods), Utuado is the third largest municipality—although like everywhere on the island, the population is shrinking. 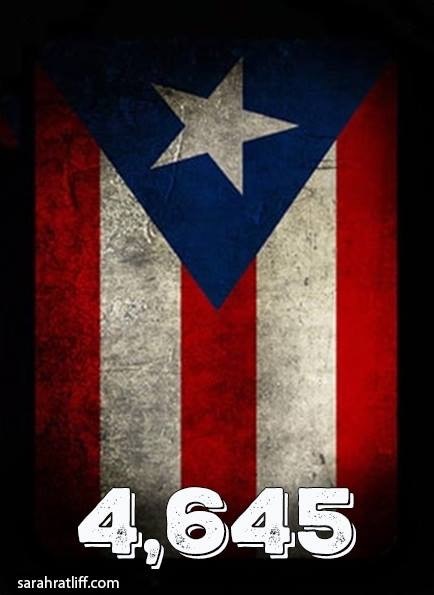 Puerto Rico is experiencing the largest diaspora since the 1950s when the U.S. started enacting many restrictions on the now 119-year-old colony, which was their response to the Utuado Uprising of October 30, 1950. Consisting primarily of farmland, supermarkets, many doctors’ offices and retail shops, Utuado is not an economically thriving town. Some of it is the result of Maria but most of it is attributable to colonialism and Congress’s response to our $79 billion debt—dubbed PROMESA: lower the minimum wage, cut the budget to the public university, but raise the cost of tuition; raise prices on utilities, on consumables (of which between 92 and 97 percent are “imported” from the states at substantially higher prices than people living in the U.S. pay) and sales tax. My husband and I moved to Utuado from Southern California in 2008, where we’d been working for biotech giant Amgen. We wanted to live in the campo (countryside) where we could be organic and self-sustaining farmers. Our Hurricane Maria story isn’t very compelling. Our house remained intact, and we didn’t lose any animals. We had a lot of structural damage on the farm, and we lost 80 percent of our trees. We estimate it will take us another six months to a year to continue cleaning and recouping what we lost. All in all we were extremely fortunate. The same cannot be said of many Utuadaños. In October 1984, Luis Rios and his wife Zoila de la Rosa built their house in Barrio Sabana Grande using wood and gypsum board / sheetrock and a zinc roof. They moved in two weeks before their son was born. The house survived Hurricanes Hugo, Andrew, Georges and Irma. It was no match for Maria. It cost them $40,000 to rebuild their home, of which they used $20,000 loanedto them by the Federal Emergency Management Agency (FEMA). Zoila told me FEMA explained to them this was because they’re retired and drawing a pension and social security. This somehow disqualified them from receiving a disbursement check and not be required to pay it back. However, as El Nueva Día reported in January, it’s more complicated than this couple’s (and presumably thousands of others’) personal circumstances suggest. Evidently, Puerto Rico had $8.575 billion scattered in several accounts, and FEMA told Governor Rosselló they had to exhaust those funds first before more would be loaned to the island for disaster relief. It took them nine months, but Luis and Zoila were able to move back into their home in July. Much of Puerto Rico’s infrastructure has been neglected for decades. While this may not be so apparent when visiting or living in the island’s capital of San Juan, it’s difficult to ignore in the countryside. 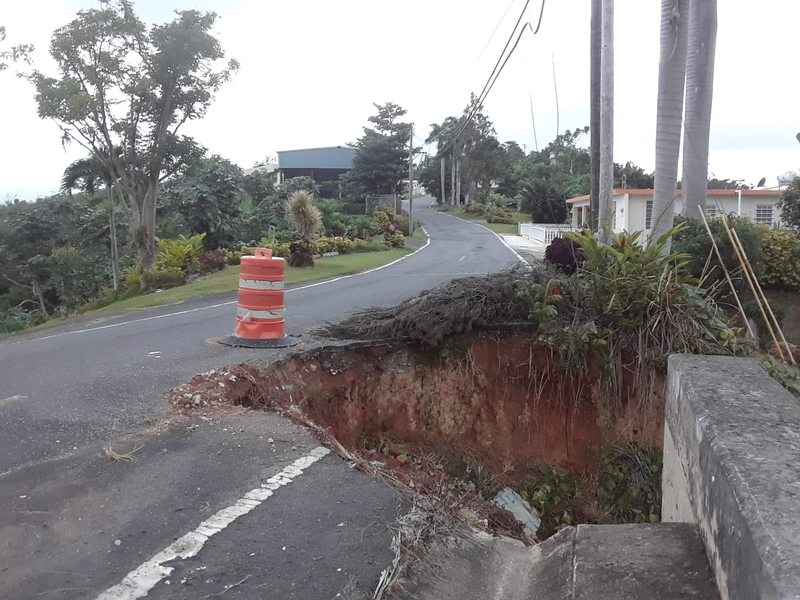 Prior to Maria, roads were falling apart and in disrepair. 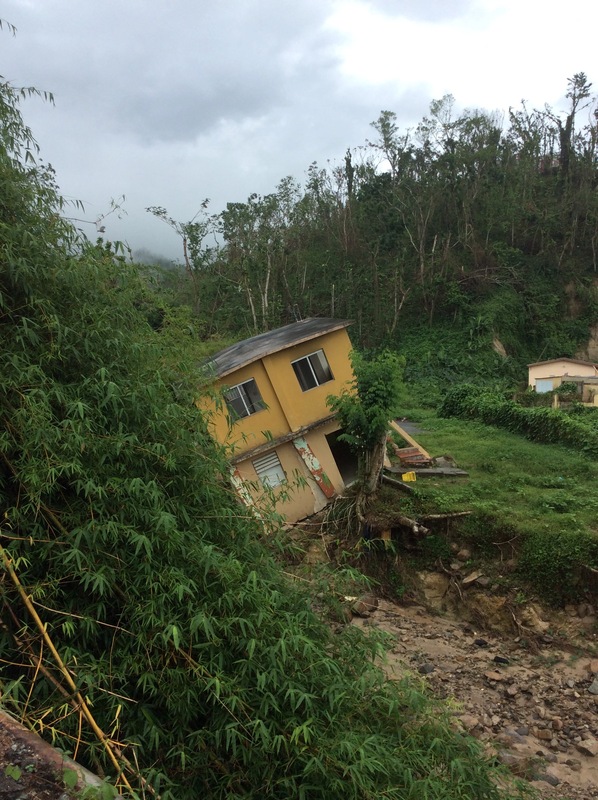 Maria’s pounding winds and rains added to the already-eroding land, making many of them impassable and dangerous. This sinkhole in Barrio Sabana Grande on road number 611 is a new “feature” since Maria. Photo credit: Joan Kirchheimer. 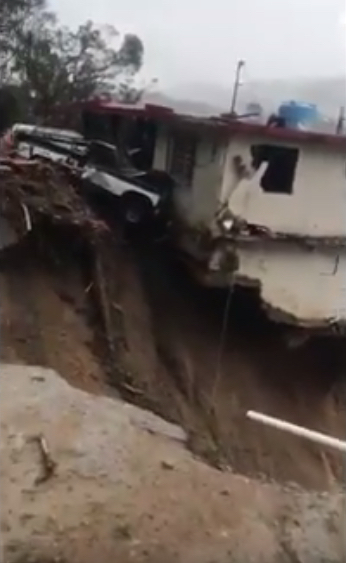 In Barrio Caonillas (near the lake that provides water to most of Utuado), the road underneath a home collapsed, nearly taking the house and vehicles with it. Traffic was diverted through the driveway of the house opposite the landslide. The road remains impassable. For businesses in town, many were able to reopen within a few weeks, or in some cases, months. 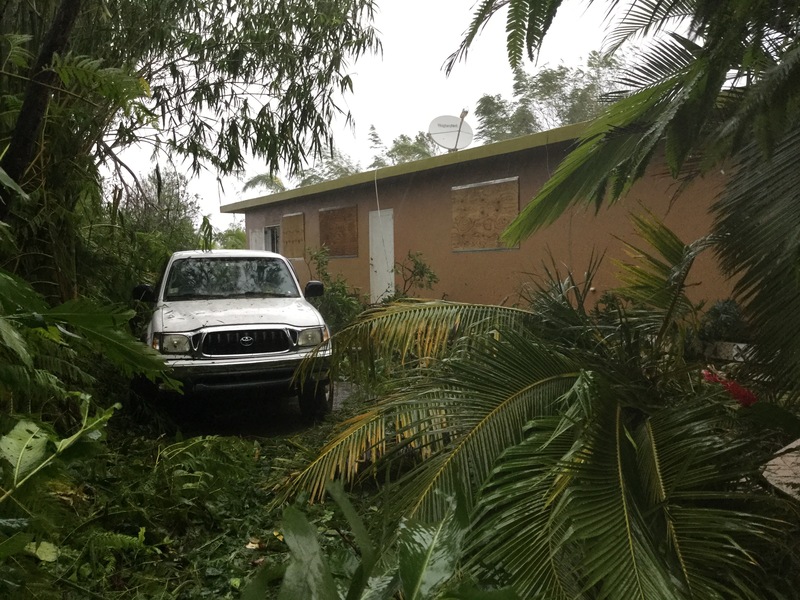 The office of Doctora Diana de la Paz (my primary care physician) had been flooded during Hurricane Irma two weeks before Maria. She leased a new space a few blocks away and, while construction was going on, she saw her patients in the locker room / break area of one of the local pharmacies, Farmacia Maestre. 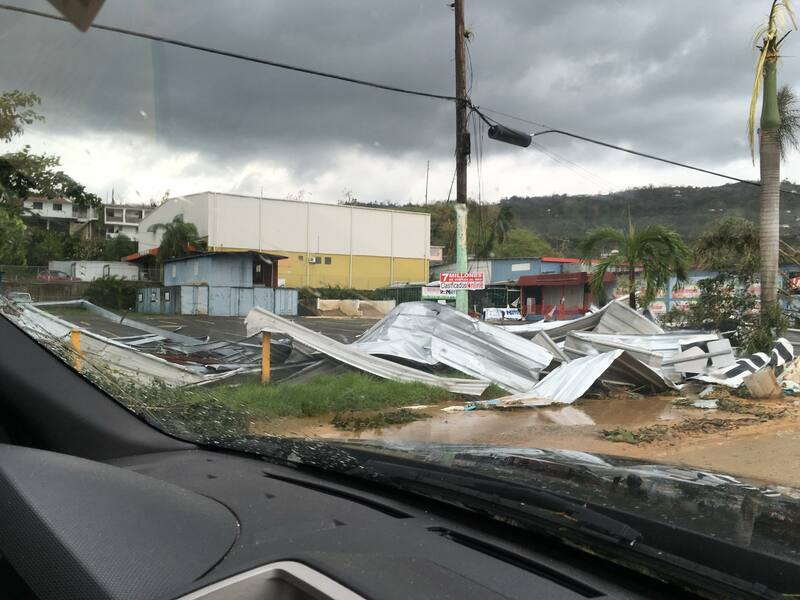 Utuado’s pueblo a day after Hurricane Maria. The Puerto Rico Electrical Power Authority (PREPA) helped businesses in town by concentrating on restoring power there first, before moving to the residential areas and eventually the campo. For Tony Lopez and Joan Kirchheimer of TJ Ranch, 16 years of receiving guests from all over the world at their B&B on 41 acres in “karst country” had started to feel like it was enough. Both in their 60s, maintaining the three casitas and open-air dining room by themselves wasn’t as easy as it once had been. Their kids, TJ and Tina, are both grown and have their own careers. And while Tony and Joan had talked about retiring, the abrupt ending wasn’t exactly how they imagined it happening. I asked Joan whether they’ll reopen TJ Ranch. She said they haven’t made up their minds completely, but they are enjoying their time at home—living in a place so many others looked forward to visiting. Regardless what they do, they can look back and be proud of what they built and provided their clients (many of whom have become close friends): peace, tranquility and an opportunity to convene with nature without television or (until recently) WiFi. Also opened in 2001 was Rancho Marina in Barrio Caníaco on Lago Dos Bocas. Owners Harry Marrero and Vivian Lopategui Canino had a brilliant idea: build a restaurant on the lake that is accessible both by ferry and car. Create sections by theme and function, and offer diners a diverse menu such that meat eaters, vegetarians, diabetics and those with intolerances and allergies can eat in the same establishment. Charge reasonable prices such that locals don’t have to wishthey can eat there, and you’ve got a place frequented both by Puerto Rico’s beautiful people and regular folk like you and me. Built on five acres, the property was also where Harry and Vivian lived. At the center of this success was Sheila Marie Ocasio. Starting as a waiter in 2007 when she was 21, after three years Harry and Vivian made her the General Manager. Having grown up in Barrio Don Alonso (just a couple of miles from Rancho Marina), effusive and gregarious, Sheila had just one policy: treat everyone exactly the same. Sheila and her husband, Mike Anthony Gonzalez Jimenez (a veteran sergeant of the U.S. Army who served tours in Afghanistan and Iraq) were riding the wave when they bought their home on eight acres in Barrio Don Alonso. Sheila was just 27. As Vivian has said about Hurricane Maria, “It took Harry and me 16 years to build Rancho Marina and it took Maria 12 hours to destroy everything we had.” I asked her whether they planned to reopen. She told me their target date for reopening is first quarter 2019! They are currently living with friends. El Balcón del Recuerdo in Barrio Don Alonso reopened on August 25th. A local bar in our barrio, El Balcón del Recuerdo (The balcony of dreams), which had been constructed entirely of wood, was finally able to reopen on Saturday, August 25th. El Balcón—as it has been affectionately known for decades—was one of Paul’s and my favorite local spots. 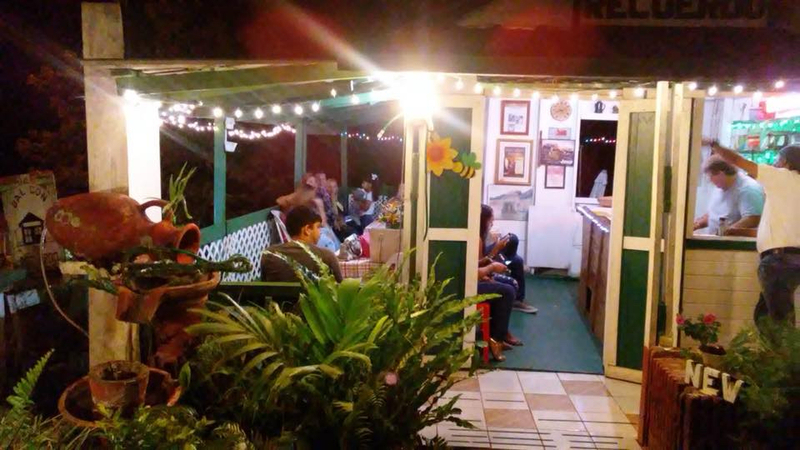 It’s a combination bar and family hangout (you just have to know the culture of Puerto Rico to love it) in Barrio Don Alonso. Owners Nelson Maldonado and Elisa Ocasio held down “day” jobs in education (he was a high school principal and she was a director at Head Start in Utuado’s pueblo) and opened El Balcón on the weekends and some weekday nights. Psychologically, reopening El Balcón was needed for the barrio. A mudslide and downed power lines on road 611 in Barrio Sabana Grande. 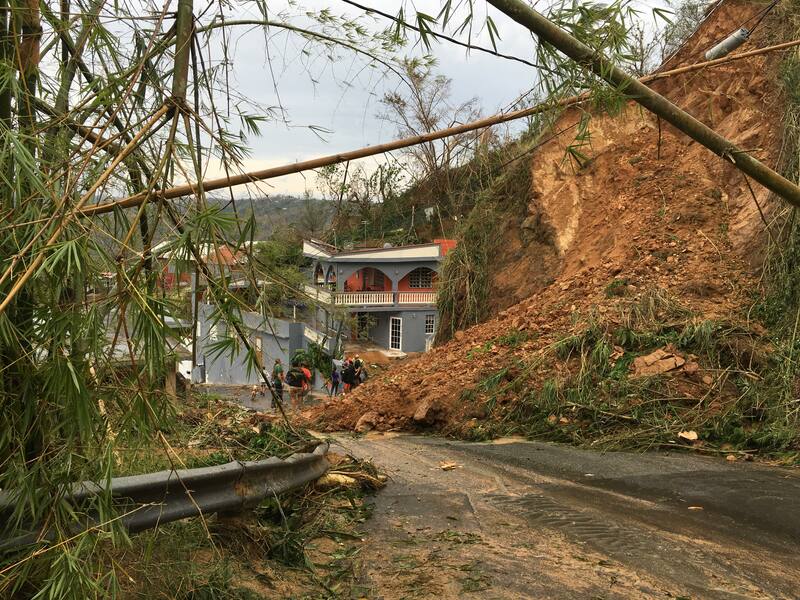 As with so much that happens to Utuado, all the problems that plagued PREPA and delayed restoration of power to homes and businesses island-wide were intensified in Utuado (as well as other towns in the mountains: Jayuya, Adjuntas and Ciales). Most of San Juan and towns within the metro area got power by Christmas—many before Thanksgiving. Most of Dorado had lights within three weeks of Maria. By contrast, after the initial wave of power restoration in the pueblo (in town), it was slow going in the barrios of Utuado. This was the case in Jayuya, Adjuntas and Ciales as well—with an exception: Ciales was completely dark until April—not even the pueblo had lights. As the months dragged on without power, it became common to greet one another with, “¿Todos bién? ¿Tienes luz?” “Is everything good? Do you have light?” Apart from having sympathy cred, it was also becoming dangerous for the elderly, the poorest people and those with medical conditions who required refrigeration of their medications. Our power was restored in April, two days before the island-wide power outage. (Power was restored in the metro area within 12 hours, however Utuado didn’t see lights for 24 hours.) We knew people closest to the lake (Dos Bocas) were mostly poor and without generators. Some also had serious medical conditions. Every night as we were out by the goats feeding them, we’d look toward the lake to see if we could spot lights we hadn’t seen the night before. Whether it was one house or several, we gave them high fives. It became our ritual until every last house had lights. There are four people who actually benefited from having the power grid knocked out. When Mike and Sheila bought their home three years ago, it didn’t have electricity. The previous owner built the house and had planned on adding electricity but learned it was cost prohibitive unless another house nearby needed it. He was upfront with Mike and Sheila, who talked with the neighbor just below them to see if they could run the line through his property en route to the main line in our barrio. Initially the neighbor said yes, so they went ahead and bought the house. After owning it for a few weeks, the neighbor changed his mind. There Mike and Sheila and their kids were with a house they couldn’t afford to bring power to without running the line through his property. They started saving for solar panels. “It was unbelievable. We never understood why he changed his mind. But he did, and he held the power over us,” said Sheila. When power was being restored on the island after the hurricane, Governor Rosselló directed PREPA to give everyone on the island power, unless they refused. In June, Mike and Sheila did something that hadn’t been able to do in three years: flip the light switches on, plug their 10-year-old son’s Xbox and TV in and play music for their two-year-old daughter. As if June weren’t special enough for Mike and Sheila, in July Sheila landed a job as the general manager of Finca Viernes (which means Friday Farm) in Barrio Don Alonso just five minutes from her home. Utuado is the ideal setting for experiential travel and glamping. Finca Viernes overlooks Lago Dos Bocas and offers stunning views of the valley and mountains of Utuado, whose trees are showing tremendous growth. Members of Grupo Alpha and General Manager of Finca Viernes, Sheila Ocasio. John Dockstader and his wife Marsha Jackson live in Maryland and spend winters in Barrio Don Alonso Arriba, farthest east from the pueblo. When it looked like power and water wouldn’t be restored to their home until spring at the earliest, they opted to delay their return. And they did. Friends with Tony Lopez and Joan Kirchheimer for decades, when TJ Ranch became the only home in the area with Internet access (some of us in the campo have HughesNet satellite service), which exceeded their limit, Marsha explained the situation to HughesNet who donated many gigabytes to Joan’s account. 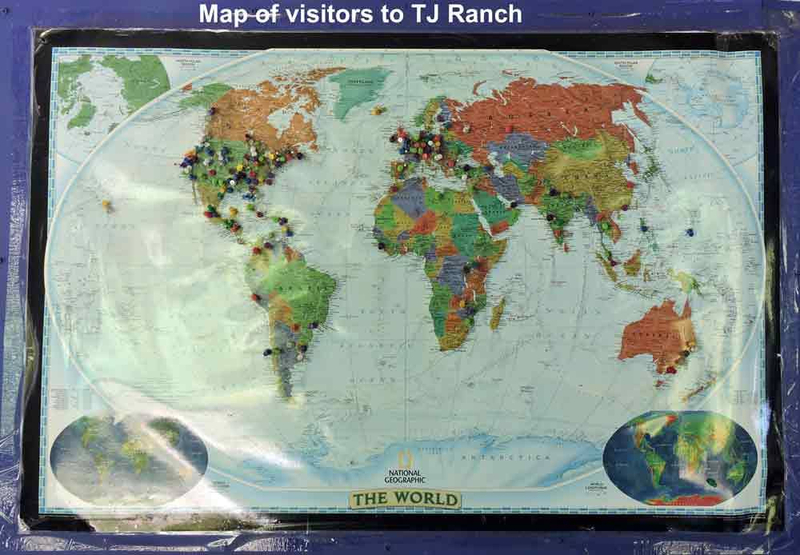 TJ Ranch became TJ’s Internet Café, allowing their neighbors to communicate with loved ones in the states and across the island. Marsha and John also mailed three generators with inverters, solar lanterns, packs of batteries and various other supplies to friends. They also sent a dog rescue in Utuado a chainsaw, sharpener and chains. Services such as filling in potholes that are available in town don’t happen with any regularity in some barrios and are non-existent in others. For as long as my husband and I have lived in Utuado, a group of volunteers who call themselves Grupo Alpha have done this. Prior to Maria, drivers could expect to encounter members of Grupo Alpha working very hard. After Maria, we didn’t see them as often. We assume they were at home rebuilding, cleaning up after the storm. Not only did our road suffer because of it but it was also nice to say hello to each of them and thank them for volunteering their time. 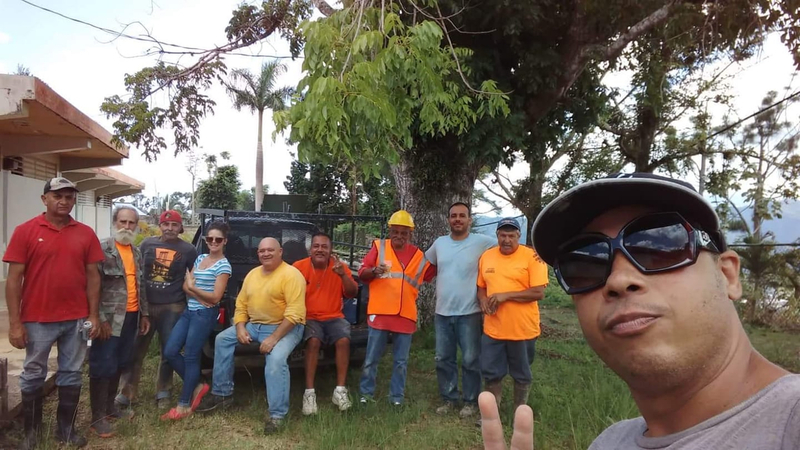 On Saturday, August 25th, Grupo Alpha got together again and filled in some of the biggest potholes on road 611 in Barrios Sabana Grande and Don Alonso. Whether they wanted it or not, their volunteer efforts drew more attention than normal. I belong to several Facebook groups and like many pages that celebrate Utuado in one manner or another. Nearly all of them had photos of Grupo Alpha. Over the last year, I have talked with hundreds of people in various towns across the island, and all of them talked about the community coming together after the hurricane. Our neighbors didn’t hesitate to help us with anything and vice versa. One in particular I’d like to mention is Olga Zeda. She was the first face we saw after Maria. Front of the house I share with my husband, Paul. A mudslide prevented us from being able to drive out and check on people. It took us 10 days but we were finally able to clear the felled trees enough for the digger to come and rescue us. However, on the Sunday following Maria, Olga and her brother Mickey traipsed through some pretty rough terrain to check on us. I heard her voice before I saw her. It’s about 400 feet from house to the end of the driveway and out to the gate, and another 800 to where the mudslide was, so it took a couple of minutes to get through the thick piles of branches to get to them. At no other time before or since have I felt that intense a feeling of belonging. There are many reasons my husband and I fell in love with Utuado. Both of us were raised in the states: Paul is from Washington, D.C., and I was raised in New York City. Although we can both remember specific neighbors who stood out as being helpful and neighborly, neither of us felt the sense of belonging that we feel in Utuado. From the moment we set foot in Utuado on September 17, 2008, we were very friendly. Between us we spoke five words of Spanish—not at all what I would recommend. Lots of referencing the English to Spanish dictionary on our smartphones and hand gestures later, we think we were able to say what we wanted. Over time we met more people who were either related to or friends with people we’d previously met. We earned a reputation for being friendly, and soon enough we were invited to people’s homes for meals and parties. Oftentimes we are not only the only “Americanos” there, but usually the only non-family members as well. Most people we know in Utuado call us Pablito and Sarita (little Paul and little Sarah), which is surely a testament to the way people see us. Indeed, we’re different from most Utuadaños. We may have integrated well into Utuado, but we have funny accents (oh yes, we speak more Spanish now! ), dress differently and, despite our ages (in our 50s), we’re neither retired nor do we work outside the farm. I have no doubt we could have replicated this in another town on La Isla del Encanto, which speaks more about the people who live on the island and less about us, but Utuado is where we live and plan on living the rest of our lives. 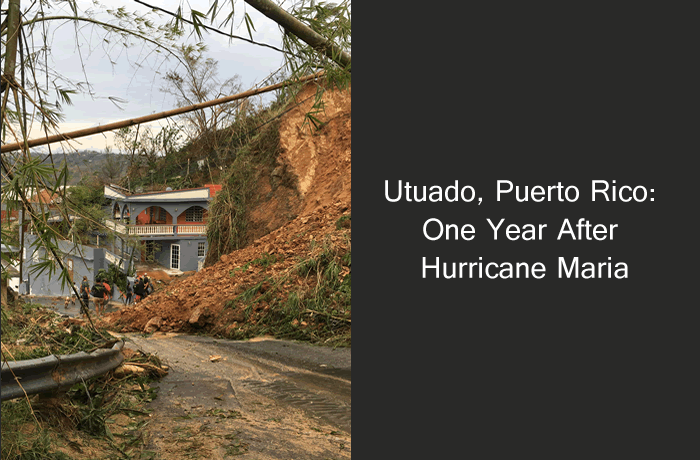 Looking back on the last year since Hurricane Maria ravaged Puerto Rico, it hasn’t been easy for any of us. We all endured more than we believed we were capable of enduring. Many lost family members and friends, and there are still countless numbers of people without their homes and possessions. There are still people leaving the island, hoping for a better life. I never had much anxiety driving around sinkholes before Maria, and now I am plagued with panic attacks each time I see one. I’m not alone. Many people talk about some aspect of surviving Maria that only those who’ve lived through a natural disaster could understand. I would like to thank all the people who let me interview them and/or use their photos. I would also like to thank Giancarlo Vázquez López with Claridid Newspaper and Nathan Falde for their fact checking. Thank you, as always, to my editor, Deb Kingsbury. Please note: this was originally supposed to be published in an online magazine. My guidelines were clear and I believe I followed them, except for one crucial piece: keep it to between 1500 and 2000 words. I couldn't tell the proper story about Utuado in the aftermath of Maria in 2000 words or less. It was impossible. Maria was the most destructive hurricane in Puerto Rico's recorded history. Looking at Utuado and its amazing people can't be limited by words.